We asked our BIMers if it is possible to learn BIM without knowing AutoCAD. Here's what they answered! If you’re working in the construction field you must have heard of BIM (Building Information Modeling) or you know what it is by now. According to the NBS, BIM is a “process for creating and managing information on a construction project across the project lifecycle”. As you can see, BIM is all about information. However, most of the times people are still relating this methodology with a software like Revit, Navisworks or ArchiCAD. This is not quite accurate. It is true that this software is used in a BIM process, but there are more tools. What about AutoCAD? Do we need to know how to use it before jumping into BIM? Let’s find out! Is it possible to learn BIM without knowing AutoCAD? 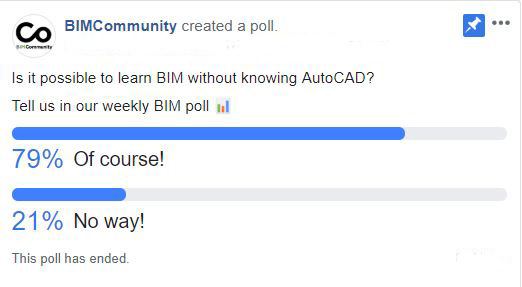 BIMCommunity launched a survey on Facebook where we asked our followers if it is possible to learn BIM without knowing AutoCAD. The question generated a lot of reactions. According to the 79% of the votes, it is possible, while the rest agreed in the need to have a CAD background. The most interesting part was in the comments section where a few users shared their opinions. For example, Christopher Cáceres highlighted that BIM is a methodology, “Autocad is a tool. Of course that you can do it and you can also choose the tools according to you BIM needs. BIM is not a software”. On the other hand, Janis Jersovs agreed but remembered that you need to have some principles technical drawing to start with BIM. If we compare both tools, AutoCAD and a BIM software like Revit, for example, we realize that they work in different ways. AutoCAD focuses on the graphics (linework or shapes) while Revit (walls, doors, floors, etc…) does it in the element itself. In AutoCAD you can draft a simple drawing with arcs and lines like you were doing it with a paper and your bare hands. However, in Revit, you’re working with a building in 3D. Instead of drawing a flat square, you model a wall where you could put a window into it. That saves a lot of hours because the drawings are all delivered from the building model. Therefore, knowing AutoCAD could be a little bit confusing to understand how the new tools work. A solution for this problem could be to get familiar with existing AutoCAD DWG files, according to the expert Irné Barnard. Many information will come from this like site topography or detail drawings from manufacturers. So, there’s no harm to get familiar to open and clean up DWG to import them into Revit. 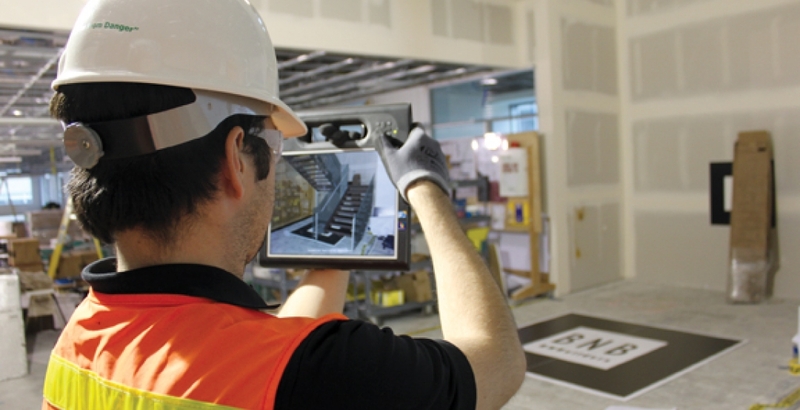 Facing the change: Are we ready to embrace BIM? When it comes to BIM, a lot of people are still reluctant to adopt it. But what they don’t know is that BIM is more integrated into our society that it seems. When we conceive a building we don’t do it in 2D lines anymore. Instead, we think the element as a whole, including doors, windows, floors, etc… and what are the best way to connect them. Just like BIM does. This methodology is object-based, everything knows what it is. We are not talking about lines anymore and every change we make it’s related to the real-world behavior. It doesn’t matter in which industry you are, with BIM you need to understand the process in 3D dimensions. And that will condition every decision you make. For example, if you move a wall in a plan or change the size of the floor beams you need to consider hot it will affect your sections, the same it would happen in the real life. Now it’s possible to think and act in real time, so the building will be modeled live. This includes a very sophisticated system to keep everything organized. No more problems caused by missing information. If you change something it will automatically adjust in all the annotations. Easy peasy. Modeling in 3D is nothing new in the construction sector. With Revit, for example, you could do it ten years ago. 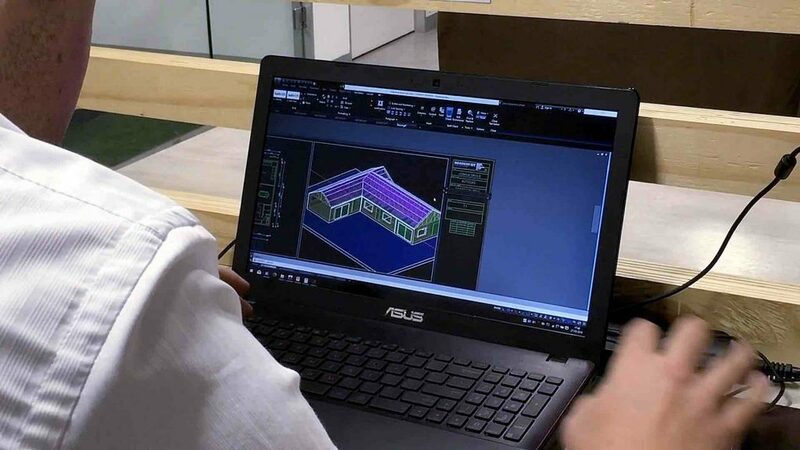 The upgrade of BIM is not only the amount of the information available in the model but also the possibilities to visualize the final product. Something very useful for the client that wants to see how the building will look like. And how much this change will cost? Nobody said it was easy. Every process requires both time and patience. The first model will be the toughest because we’re not familiar with this workflow but eventually, it will pay off. You only have to divide the cost of software by the number of hours saved in a year, and you will find what seemed expensive at the beginning it happened to be a worthy investment.